The Bob Newhart Show was a 30 minute comedy series on CBS about a psychologist's strange relationships with patients, friends, and family. And yes, it's very confusing! 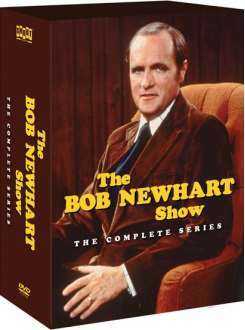 Bob Newhart had 3 TV shows named after him. Check out his other two series, "Newhart (1982)" and "Bob (1992)". 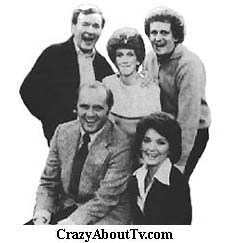 When Bob Newhart first read the outline for the show, he decided that there were a couple of things he wanted changed. His character was originally supposed to be a psychiatrist but Bob felt that would demand seriously unstable patients that wouldn't be appropriate for a comedy series so they changed his character to a psychologist. Bob and Emily were also supposed to have children but Bob felt that would be too much like all the other "kids with a nutsy father" series so they "erased" the kids from the series proposal. The Complete Series on 19 Dvds! Thank you for visiting our The Bob Newhart Show page!